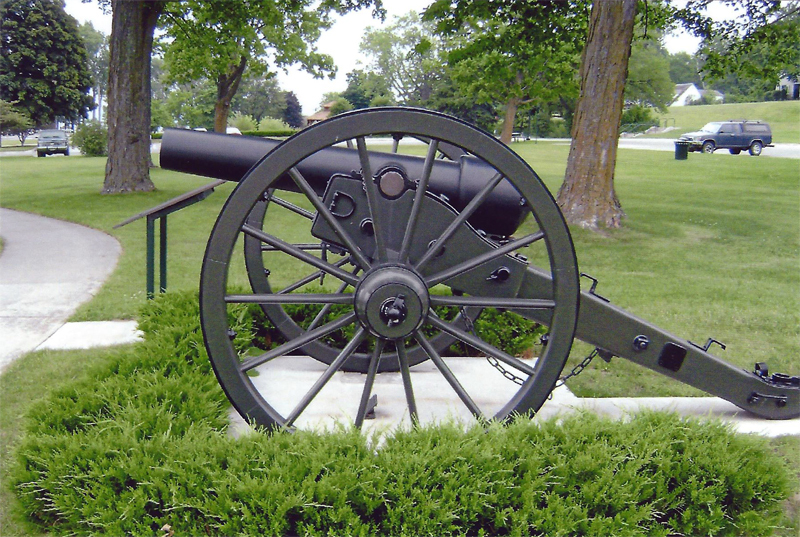 June 21, 2008 the Augusta Arsenal-Petoskey cannon was dedicated in Arlington Park in a public ceremony. This cannon is dedicated to the memory of all Little Traverse Region Union veterans of the Civil War 1861-1865. Fred L. Knoodle was at the time of the cannons restoration the Camp 14 Memorials Officer and prime mover on the cannons restoration. This one of-a-kind cannon on an aluminum carriage overlooks Little Traverse Bay from atop Arlington Park. To the left of the cannon is a plaque & further to the left is the W.R.C. plaque. This cast iron Napoleon howitzer was manufactured at eh Augusta, Georgia (CSA) Arsenal during the Civil war. Until its discovery, only the Tredegar foundry in Richmond, Virginia was known to have made iron Napoleon cannons. 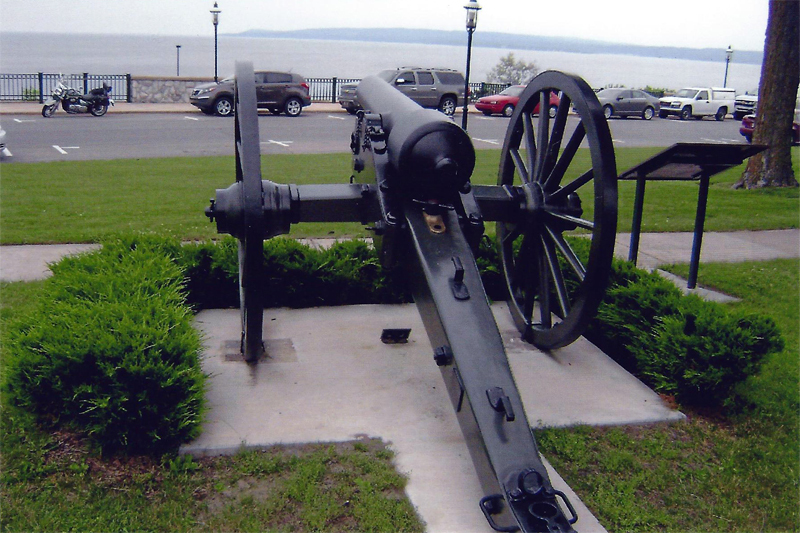 How or when the Augusta Arsenal cannon came to Petoskey remains a mystery. From June 28 to July 5, 1899, three thousand former Union veterans and their families arrived in Petoskey to attend the 21st Department of Michigan Grand Army of the Republic Encampment in this park. The keynote speaker was Maj. Gen. Joseph Wheeler, late commander of the victorious US forces in Cuba. Gen. Wheeler had been a famous Confederate cavalry commander during the Civil War. Also in attendance was the U.S. Secretary of War Russell Alger who had also served as a Michigan Senator and Governor of Michigan as well as the first presiding Commander of the Michigan Department of the SUVCW. During the festivities a cannon fired salutes over Little Traverse Bay; it is possible that this was the cannon. In 1996 Department of Public Works employees installing a new sewer line on Rose Street near Stafford's Perry Hotel uncovered what they initially believed was one of the original sewer pipes. After they washed away the mud, they discovered this cannon but with 12 inches of muzzle missing. In 2003, the damaged cannon was adopted by the Robert Finch Camp No. 14 with the goal of restoring it to its original condition. The Les and Anne Biederman Foundation, Inc.